Colorado 2, Color Changer from Chauvet in the Colorado series. The COLORado 2 indoor/outdoor color wash is fitted with 48 2- to 3-watt LEDs, including white for color temperature control. It has a die cast aluminum body, and runs on DMX as well as onboard customizable programs. It is also compatible with the COLORado Controller. 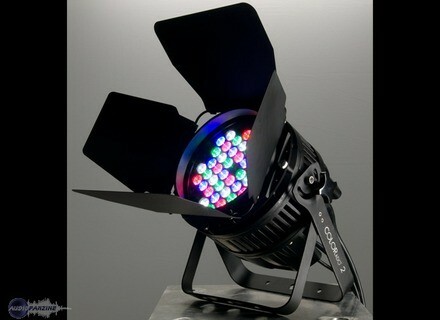 Check out www.chauvetlighting.com/colorado-2.html for more info. Hazebase Base Touring Base Touring is the new 2600W fog machine from Hazebase, and it comes in an Amptown flightcase. GrandMA V6.0 GrandMA has released the latest version of its software.